The past 24 hours was a whirlwind of creativity that demanded our resilience and tested our nerves. To call it "challenging" belittles the amount of work required. But we saw it through. At 7:40am Friday, the whole team gathered to watch the freshly-rendered promotional video — more than 1,400 long minutes after we began. Our 24 hours of sketching, coding, brainstorming, editing and recording is winding down and coming to a close. In our earlier blog post, we introduced you to Jordan and Arthur. 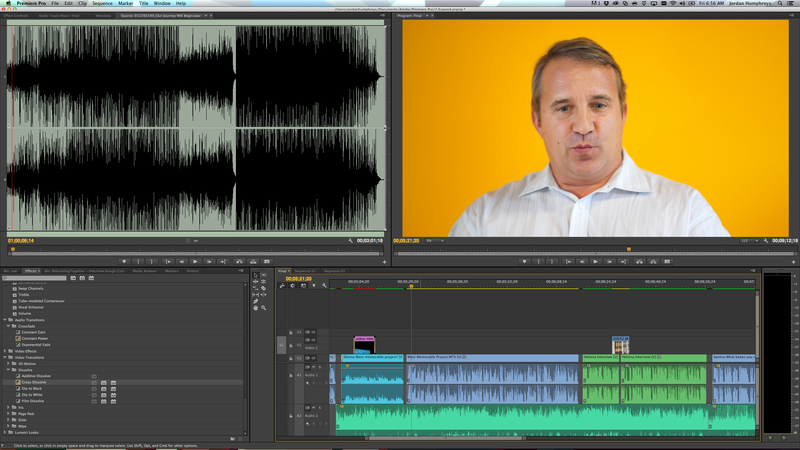 The mad men behind the visuals for Rebuilding Together Peninsula's 25th anniversary celebration. In the early stages of production, they went out into the community and spoke with people who have been touched by the work of Rebuilding Together Peninsula. Combine that will archival footage of their humble beginnings and some new interviews with key players and you have a vision. A voice. A video. Even with deadlines rapidly approaching and sleep deprivation kicking in, we never gave up. We never surrendered. The smoke is clearing, and although the last 24 hours have left us all a bit exhausted, the results are well worth the effort. With our veins screaming for rest after hours of I.V. 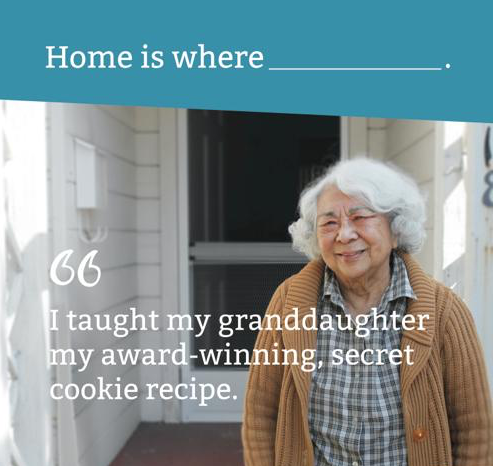 's filled with coffee and energy drinks, ZURB and Rebuilding Together Peninsula came together to find a voice for 25 years of volunteering, community outreach and home repair with safe housing assurance. In the beginning, we gathered to brainstorm. Once those brainy storm clouds were created, we put pen to paper to create tangible ideations. Those early sketches and whiteboard renderings became wireframes. Those wireframes became front-end code. The front-end code met the back-end code and they made beautiful music together to create a fully functional website. The sun has risen to signal the beginning of a new day. And with this new day comes a new chapter for Rebuilding Together Peninsula. 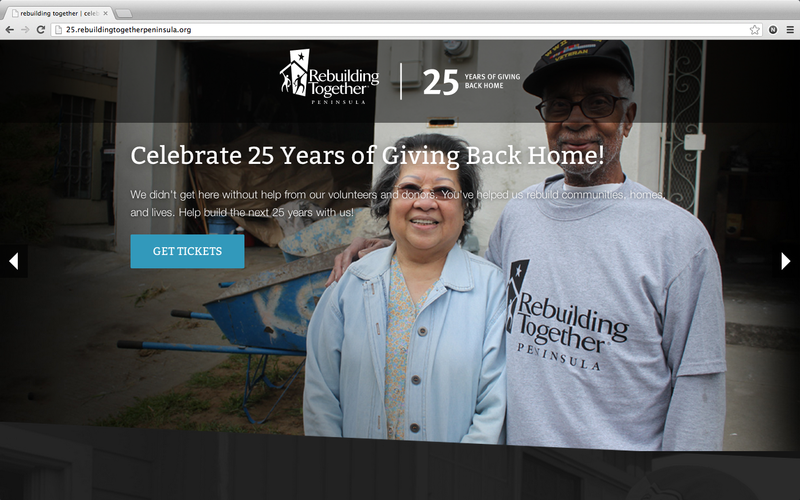 Complete with a brand new microsite, promotional video, print materials and a vision for their 25th anniversary soirée. Now, after hours of blood, sweat, tears and caffeine we present to you the microsite. 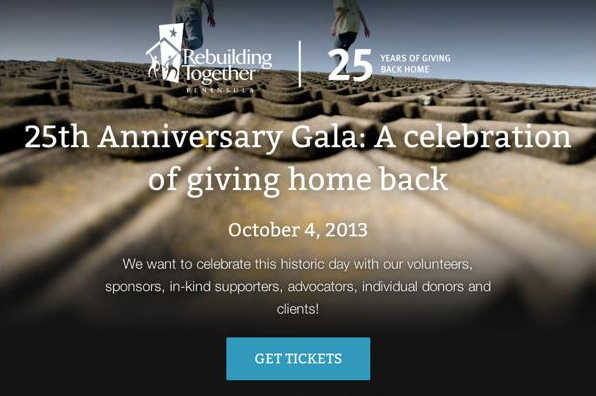 Rebuilding Together Peninsula: 25 Years of Giving Back Home. Coffee + Brainstorming + Whiteboards + Content = Print! Call the ball. Roger. ZURB has the ball.